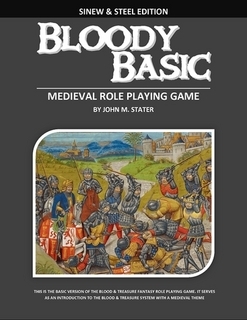 Before we get to the random table, I’d like to announce that Bloody Basic – Sinew & Steel Edition is now up for sale at Lulu.com as a PDF (the book will follow). This is basic role-playing without the magic – imagine if the original fantasy game had been based on the medieval war game rules without the fantasy supplement included. Races are exchanged for Social Ranks, classes are Armsman, Scholar and Villein, and to make up for all the space normally taken up by spells, fantasy monsters and magic items, I included some simple rules for mass combat, sieges, jousting and archery tournaments. The rules are still pretty short, so the book only costs $6.99 – not too bad. Click on the title to check it out at Lulu. I should get NOD 26 up for sale tonight as a PDF. When I get my review copies, the books will follow. More on that later. Good job! This is great list. My favorite is the giant eye.